What’s so great about the Ultra-Lite? We’ll help you learn! Ever wanted a trailer but couldn’t have one because you have a smaller vehicle? The Ultra-Lite is the perfect option for you! In addition, it’s not always the smallest travel trailers that are the lightest, so you shouldn’t have to worry about it being too cramped. Check out our inventory for a list of all of our Ultra-Lite travel trailers for sale. The Winnebago Ultralite travel trailer may be exactly what you have been looking for! Ultra-Lutes are great because they have the capacity to be towed by vehicles smaller than a truck. If you have a one ton truck, great! If you have a medium-sized SUV, awesome! If you’re wondering whether or not your SUV is big enough to tow an Ultra-Lite, please contact us and ask questions! We love helping out! This is why Ultra-Lites are created–to make it easier for you to tow! 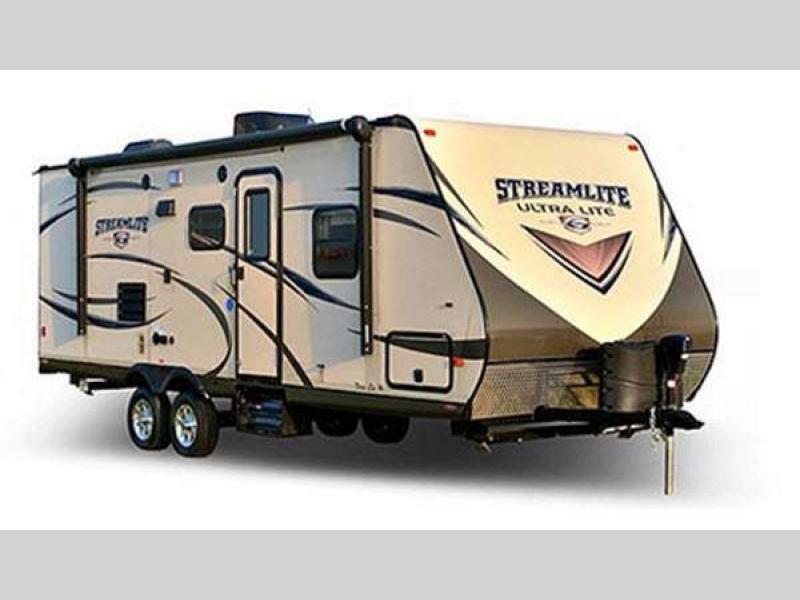 Find out how to save thousands on our Gulf Stream Streamlite Ultra Lite Travel Trailer! Ultra-Lites don’t automatically come with less amenities than other travel trailers. They have essentially the same number and also the same high quality, because these small trailers were designed for living small but luxuriously. There are many great options for Ultra-Lites, and a variety of floorplans as well, so make sure to look through the whole list of them before deciding. 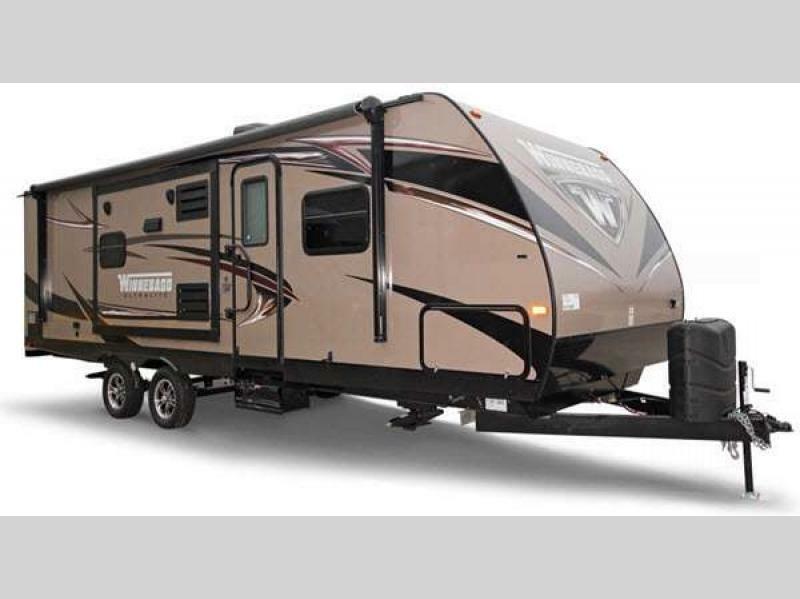 Ultra-Lite Travel Trailers for sale are easy to find at Moore’s RV online. Whether you’re looking for Viking Express, Keystone Passport or Winnebago Micro Minnie we have the trailer for you. Just scroll through our inventory of Ultra-Lite Travel Trailers for sale, or click on one of the buttons on our Ultra-Lite Travel Trailers page to shop RVs by category.